The companion to the Smart Museum of Art's exhibition of the same name, this book explores the role of the meal in contemporary art. Feast offers the first survey of the artist-orchestrated meal: since the 1930s, the act of sharing food and drink has been used to advance aesthetic goals and foster critical engagement with the culture of the moment. 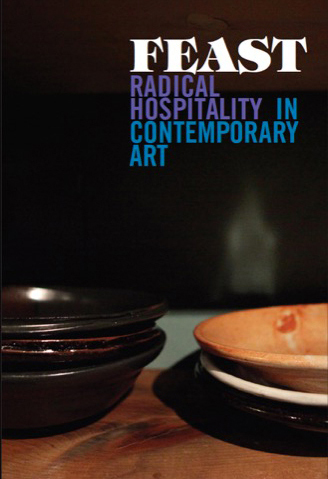 Both exhibition catalogue and reader, this richly illustrated book offers an interdisciplinary exploration of the art of the meal and its relationship to questions about hospitality, politics, and culture. From the Italian Futurists' banquets in the 1930s, to 1960s and '70s conceptual and performative work, to the global prevalence of socially engaged practices today, Feast considers a diverse group of artists who have transformed the meal into a compelling artistic medium. After an introductory essay by curator Stephanie Smith, the book includes new interviews with over twenty contributing artists and reprinted excerpts of classic texts. It also features a selection of contextual essays contributed by an international group of critics, writers, curators, and scholars. Edited by Stephanie Smith with essays and other contributions by Irina Aristarkhova, Geoff Emberling, Charles Esche, Hannah B. Higgins, Anthony Huberman, Carolyn Korsmeyer, Abigail Satinsky, Stephanie Snyder, David Teh, Jacqueline Terrassa, Jan Verwoert, and Lori Waxman. Paper, 400 pages, 320 color plats, 8 x 11.75"
Available for $45 online from the University of Chicago Press or in person at the Smart Museum Shop.